This version is released for LeMaker Guitar. 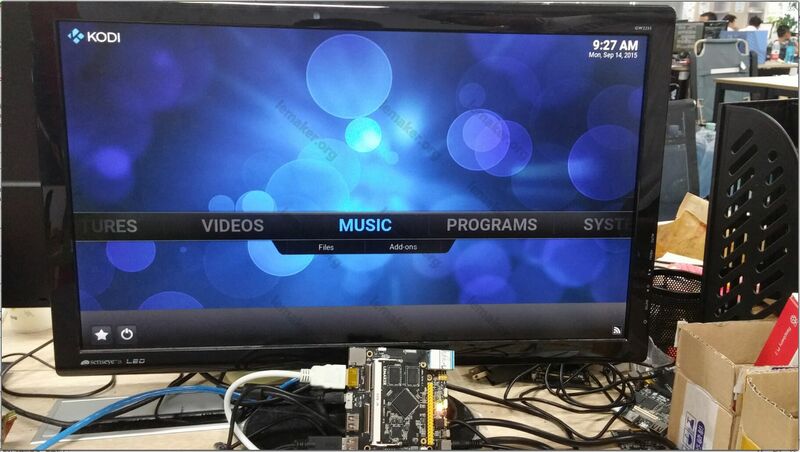 Guitar Powered by Actions S500 Soc, integrating quad-core ARM Cortex-A9R4 and Imagination PowerVR SGX544 SD GPU(supporting OpenGL-ES 1.1 and 2.0, OpenVG 1.0.1). and 1GB DDR3 SDRAM. 2、Repair the problem about the HDMI resolution's adaptive. 3、Repair the compatibility of USB3.0 HDD. With "RaspBMC Settings" as reference, we add "LeMedia Settings" in this version. Using this addon, you can configure wifi through graphical interfaces instead of typing commands. Any other good featrues can be added to "LeMedia Settings" if you advise. You can find this addon in "Programs" of XBMC. 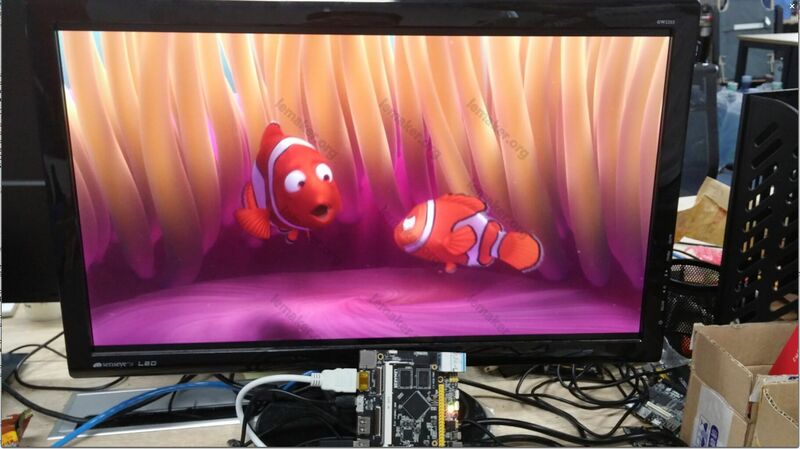 GPU is SGX 544M，and perfect support H.264 hardware and mpeg4 decoding. Due Xorg compatibility issues, This version temporarily unable to use the touch screen, the next version will fix. This version currently supports not perfect for USB3.0, the next version will fix. Currently, HDMI adaptive ability is poor, the default 1080p output. If you use another resolution, you can only be changed by modify uboot and kernel dtb, the next version will fix. Welcome to test it and criticize it. Thank you. The next version will add support for samba and nfs. Annoying. This is the very same image you already released 10 days ago. Where is a checksum for the archive? Where is a changelog? Why don't add a release date and an exact version number? Sorry to make you feel confused , This is the same image which already released at download page 10 days ago, We release the version information on the forum, hope more user known about the image. You can judge the system image by the version， eg: "v1509". The download page has the checksum and release data. I will tell them to add it on the thread, and change the download link to the download page. What does this mean exactly? I am not able to use an USB3 connected disk in both LeMedia and Lemuntu.